A new, revolutionary protein supplement enhanced with the most effective fat burning ingredients. 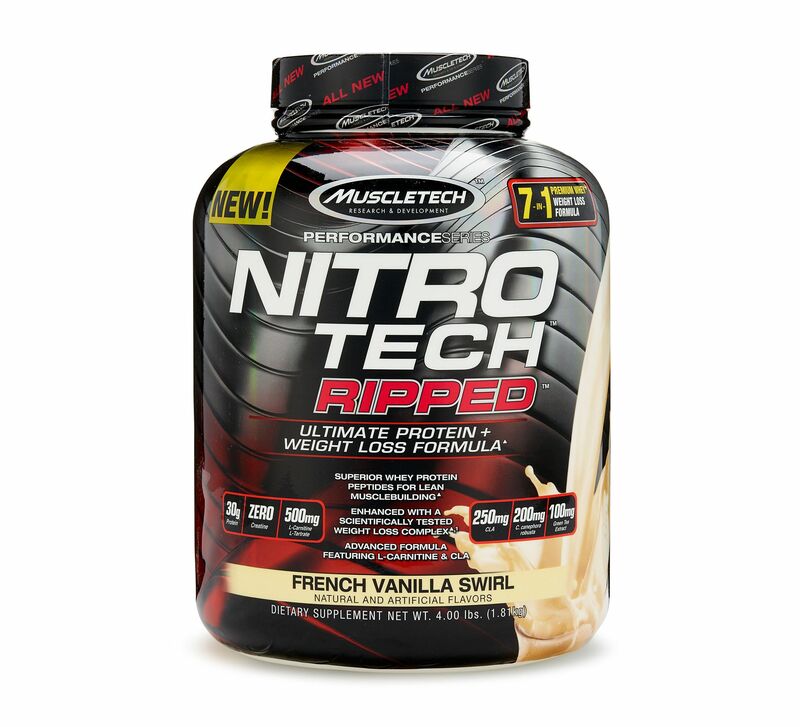 No other protein supplement can support metabolism like NITROTECH RIPPED to directly activate the release and burning of fat and build a clean and lean muscular physique. Conjugated linoleic acid (CLA) has been shown to promote lean muscle mass while at the same time it helps burn fat and, in combination with carnitine, lecithin and green coffee extract, it can significantly increase metabolic rate. Each NITROTECH RIPPED dose (1 scoop) is made up of 30 grams of protein derived exclusively from isolated whey that supports muscle definition and rapid fat loss when combined with physical training and a balanced nutrition. It is the ideal choice of protein-lipotropic shake both pre- and immediately post-workout and increases the amino acid transfer to the muscles for fast post-workout recovery. If you want to create a defined and lean physique with apparent muscularity and not a single trace of fat, then choose the unique NITROTECH RIPPED! WHAT IS NITROTECH RIPPED'S UNIQUE COMBINATION? Make the right choice with NITROTECH RIPPED.